You’re new to the world of investment and everything seems strange and perplexing. In most areas of life we struggle from too little information and guidance but in the world of investment, there’s way too much! Everywhere you turn there are people arguing vociferously and passionately for certain commodities, stocks and shares. You’ll also see different people arguing equally vociferously and passionately against them. One voice will laud it as the safest and wisest investment you could make while another decries it as not only a waste of your time and money but a global scam that will be rumbled at any moment. It can be difficult to know where to turn for advice and really more difficult to know where to put your money. After all, a bad investment could see you make a serious loss. Most new investors are risk averse and are unlikely to be bullish or bearish on any given commodity due to sheer inexperience and a lack of understanding of the caprices of the markets. As such, while they’ve likely heard of Bitcoin, and other Cryptocurrencies like Etherium, Ripple and Monero and you’ve heard a lot of vociferous claims for and against them. There are few commodities as divisive as cryptocurrency. People in the financial services industry tend not to be fans while those who’ve been burned by the banks in the 2007-2008 recession and don’t trust the present financial infrastructure simply shrug “Well, of course they would say that!”. If you’ve heard of Bitcoin, you’ve probably already read some wildly contrasting rumors about the highest profile of the cryptocurrencies. As such, it’s likely that you’ll have a lot of questions. Here we’ll try to address any questions that you may have as a nascent investor, using real human words and trying to avoid technical jargon wherever possible (and at least explaining it if we do). Hopefully by the time you’re done reading you’ll have a firmer idea of what Bitcoin is and whether or not you want to invest. We’ll try not to be too partizan in our approach, sticking to the facts where possible without coloring your answers with bias. Spell it out for me, what is Bitcoin? Bitcoin is a cryptocurrency; this means that even though it is traded in units like any currency, it differs from the currencies of nations (fiat currencies) in several key ways. Firstly, it’s value is not determined by the value of precious metals as other currencies have been previously. It is also insulated from the economic success or misfortune of any given country or state’s economy. This makes it virtually recession proof and that is what makes it so popular with people who were burned in the 2007-2008 recession and have an inherent mistrust of the banks. So what gives Bitcoin its value? Many people struggle to wrap their heads around the notion of a cryptocurrency. If it’s not tied to the economy of a nation, and its insulated from inflation and other measures of economic growth, what gives it its value? The simple answer is that its value is determined by the people who trade it, just like any other commodity. Its value is determined by the pillars of economics which are supply, scarcity, demand, the regulations managing its sale and its own internal governance. This is why, despite the proliferate negativity surrounding Bitcoin’s longevity it looks like it’s here to stay since as long as people are trading it, it will continue to have value. Lots of people say that Bitcoin is a bubble, is this true? There are many voices within the financial services industry who insist that Bitcoin is a bubble that could burst at any moment. Since its value has increased exponentially since its invention by Satoshi Yakamoto (AKA Australian Entrepreneur, Craig Wright) in 2009, and has recently experienced a drop in value lots of people are practicing their “I told you so” faces. Bitcoin’s proponents, however, argue that the value of a cryptocurrency is just like any other stock, share, currency or tradeable commodity, it’s valued inevitably fluctuates due to a range of external circumstances. Like any investment, it is neither good nor bad and carries with it both risk and the potential for a substantial return. Many new investors are choosing to invest sparingly in Bitcoin just to be on the safe side. How does one invest in Bitcoin? There are lots of different ways in which one can acquire Bitcoin. Firstly, you can buy it securely from a site like XCoins. 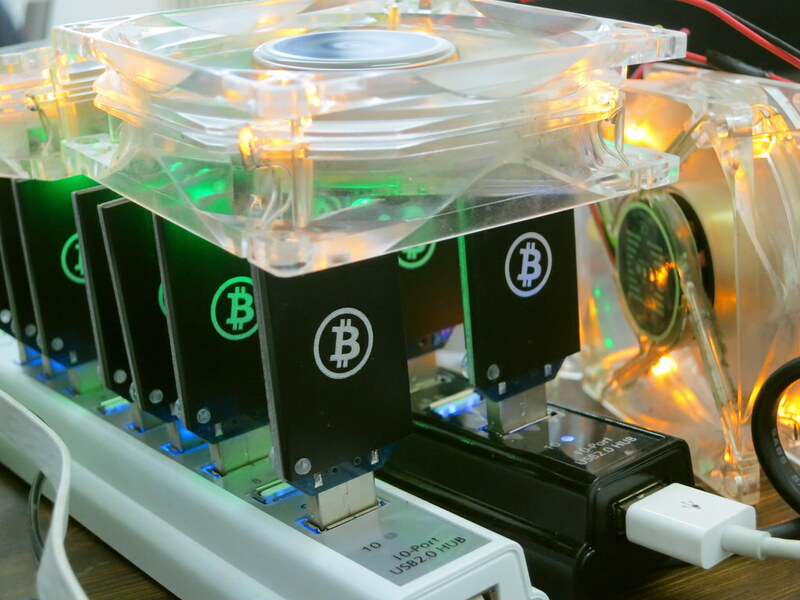 You can also become a Bitcoin miner although this does involve forking out a lot of money on sophisticated hardware (most of which can now be bought on Amazon). There was a time when one could mine bitcoin with their home PC but the technology has now moved along so far that it now requires sophisticated custom processors specifically built for bitcoin mining. These processors need to be left to run for long stretches of time to solve the puzzles that unlock units of Bitcoin (yes, this is an oversimplification, but this is essentially what they do). It’s difficult to mine Bitcoin profitably on your own, especially if you’re a newcomer, but there are Bitcoin mining contractors who will do the hard work for you for a fee. If you’re interested in learning to mine Bitcoin, check out this guide which will give you everything you need to get started. There are even some websites that serve as Bitcoin faucets, distributing small amounts of Bitcoin to their visitors. Honestly, yes. Because Bitcoin is traded anonymously using blockchain technology transactions are almost (but not entirely) untraceable. This makes it very attractive to the criminal community, especially those trading in illegal goods and services on the notorious dark web. But criminals also use cash, drink beer, eat cheeseburgers and drive cars and you wouldn’t want to deprive yourself of any of those comforts simply because they’re also used occasionally by a few bad apples. Am I taxed on Bitcoin? Yes and no. While Bitcoin is a commodity it is subject to tax, yet it is not taxed at the same rate as other cash assets. This tax advantage is the reason why many people are using Bitcoin to supplement their IRA, allowing them to save for their retirement while making sure that their wealth is protected from the IRS. Many people are also currently reaping the tax benefits of making charitable contributions with Bitcoin. So, while Bitcoin is taxable, its rates are much more favorable than the tax rates on cash. Can Bitcoin be shut down? Many new investors are shy of investing in Bitcoin, especially those who aren’t particularly tech savvy because they worry that something will happen to “shut down” the Bitcoin system either robbing them of their investments or rendering them worthless. Fortunately, Bitcoin is designed to make this impossible. The whole point of Bitcoin is that it is an attempt to democratize currency and it is based upon Blockchain technology which means that it is duplicated thousands of times across thousands of different computers. Thus, it cannot be hacked or corrupted as the data is not stored in one central place. Its control is in the hands of those who use it. There is no central authority for Bitcoin, although there is a Bitcoin Foundation that provides oversight. However, even the Bitcoin Foundation has no authority over the cryptocurrency. Are there an infinite amount of Bitcoin units? No, and this is why its scarcity is a contributing factor to its value. The way in which the Bitcoin system is designed to distribute units of the cryptocurrency slowly to the tune of 21 million units over the next century. This is why Bitcoin’s proponents call it digital gold. It’s worth noting however, that while the current system enables Bitcoin to stay finite there are at present no guarantees that this will change, nor can we accurately predict what will happen to Bitcoin’s value if an influx of units were to come into circulation. However, this is no different from fiat currencies. Banks and governments create money out of nowhere at all through quantitative easing. That depends on where you live. There are many factors that make Bitcoin unpopular with governments, especially those of non-democratic countries. Countries such as the US and Canada, the UK, Australia and most countries within the European Union are permissive of Bitcoin, however there are some countries in which it is outright illegal. These include China, Russia and even Iceland. Click here for a more comprehensive list. Bitcoin’s anonymity was one of its biggest selling points upon its release. In real terms, however, Bitcoin is more traceable than many were led to believe, especially if it has been used to fund criminal activity like drug dealing, people trafficking or money laundering. It turns out that authorities have ways of tracing Bitcoin transactions and web merchants routinely leak data without purchases. While Bitcoin has a veneer of anonymity, it can be cracked by anyone with the time, resources and a good enough reason. It’s no more anonymous than a bank transfer and certainly less anonymous than cash. Eurasia Group anticipated yet another US financial crisis – Will recession make a comeback? What Makes Platinum So Special?